Not only have I been sick for the last couple weeks but last week I was woken up in the middle of the night with the worst sort of mouth pain. It wasn’t just a tooth that hurt it was my entire jaw and throat on the left side of my face! I wasn’t excited about going to the dentist but I knew I had to make an appointment when the pain was so severe I couldn’t eat! 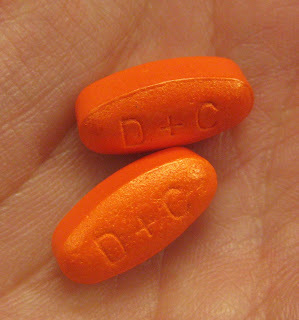 I also popped a few DayQuil in hopes of stopping my cough for the 10 minutes my dentist would be checking out my mouth. As suspected my wisdom teeth were to blame. I can get my wisdom teeth taken out or use a homemade mouth wash everyday. I’m going with option #2 for now but who knows what will happen in the future. I also must mention the fact that my dentist is awesome! I’ve hated every dentist I’ve ever come in contact with EXCEPT for my current dentist. If you are in the Chicago area and need a good dentist contact me and I will get you his information. After a long day at work Patrick and I walked to our voting location to do our civic duty. When we were finally able to get home I was exhausted and did not feel like cooking anything. Luckily my husband is good in the kitchen and he stepped up to the batters plate. Put a bit of olive oil in a pan. Add broccoli, red pepper flakes and schezwan sauce and cook until broccoli is to your desired texture. Put broccoli mixture over rice and enjoy! Not only did I burn the heck out of the cookie but I turned our condo into a chimney. Smoke was everywhere and now all my clothes smell like burnt cookie! Did you vote on Tuesday? Have you ever burnt anything in the microwave?